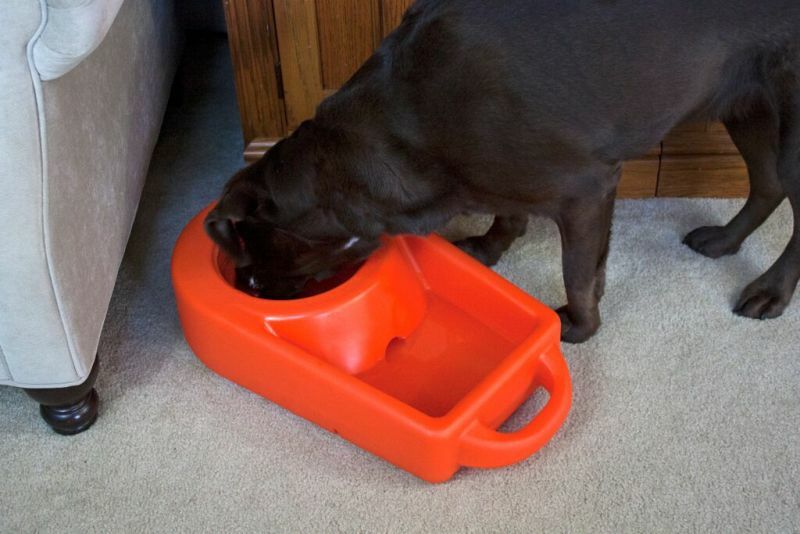 Finally a dog food and water dispenser that makes sense. A portable dispenser that is ready when your dog is ready for a meal or a drink of clean fresh water. Use it inside your home or on the patio. 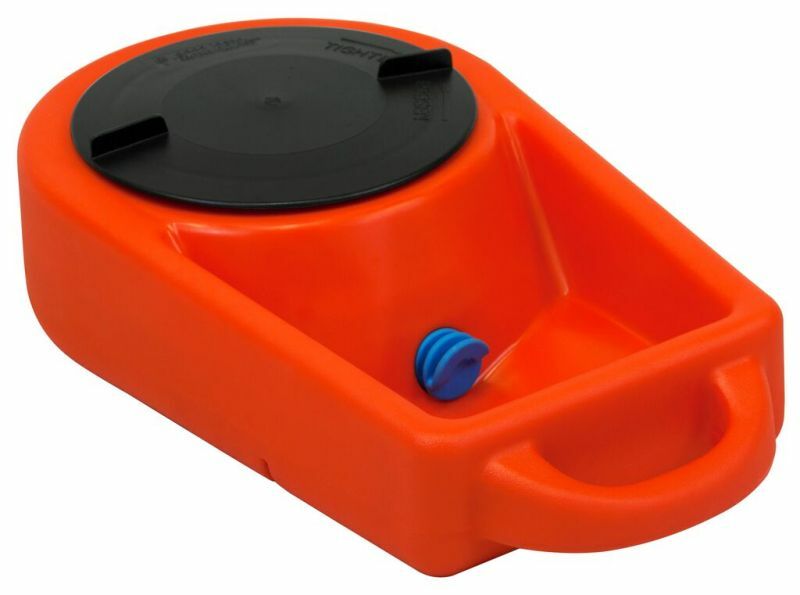 Whether you are traveling with your dogs in the SUV or a hunter in the field this is the all-in-one portable dog food and water dispenser you've been waiting for. 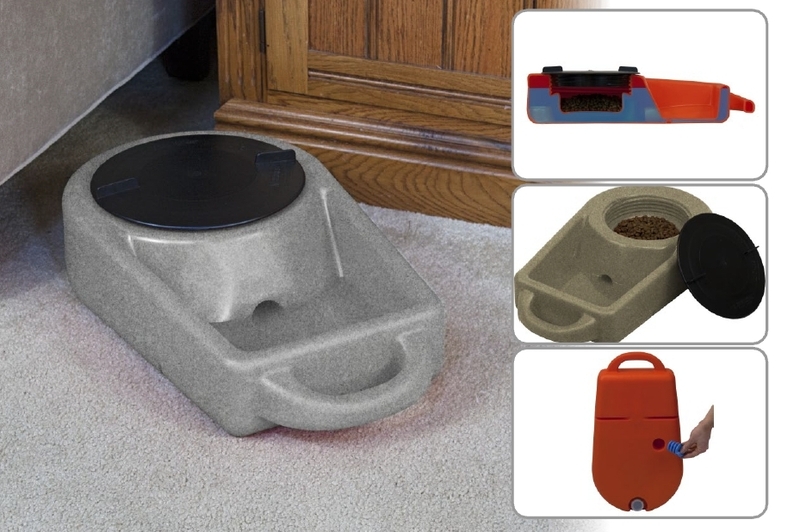 Order a "Dine-N-Dash" dog food and water dispenser for your dogs today! This great dispenser is made of BPA-free FDA approved resin so there is never any worries about your pets eating or drinking from something made of dangerous chemicals. 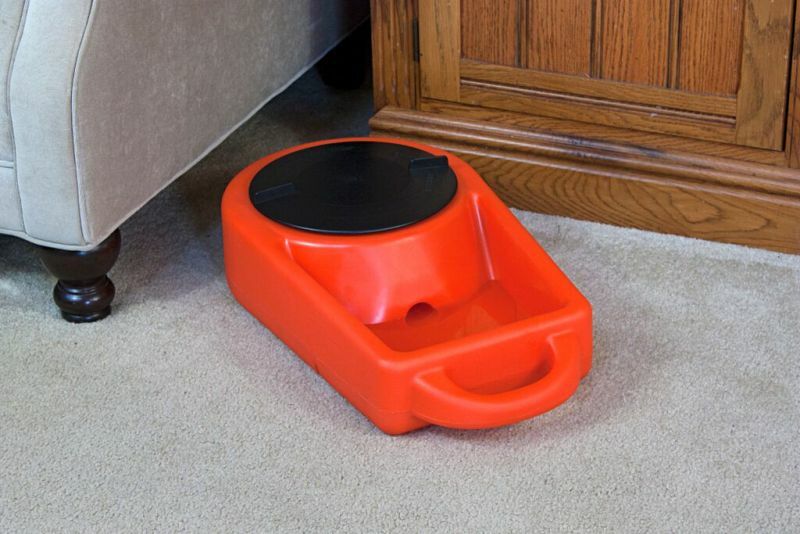 Anyone that has a pet, especially a dog, can use this dispenser on a regular basis. I think you will agree that under certain conditions and circumstances, this food and water dispenser could save your dog's life. Have a look at this short video. It will answer all your questions. If it doesn't then let us hear from you. We will get your questions answered. 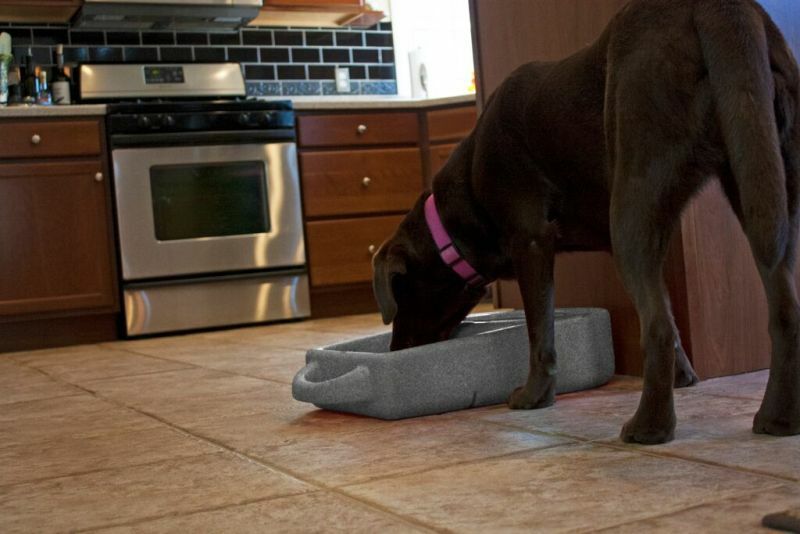 You need this product in your home for your pets. 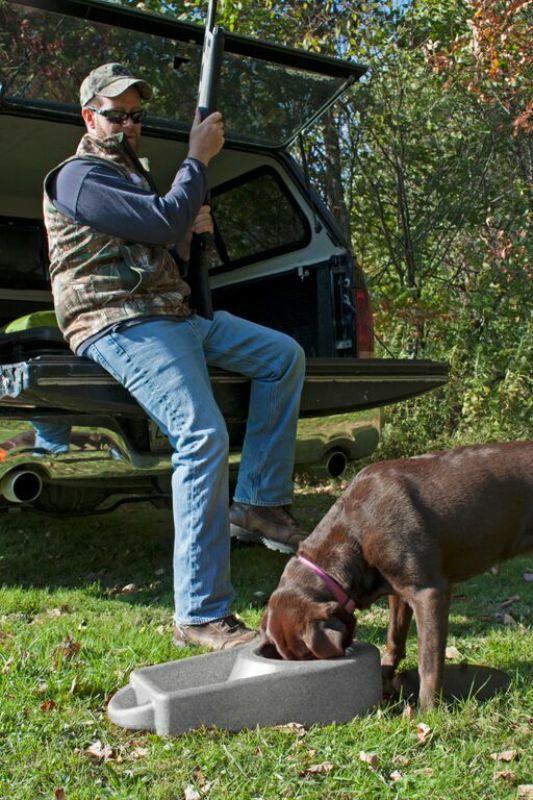 Hunters: You know that your dogs will drink pretty much anything that's wet when they're thirsty. May I suggest that it would be much better to have them drinking water of a "known" quality. That would be water you brought from home in your Dine-N-Dash water dispenser.